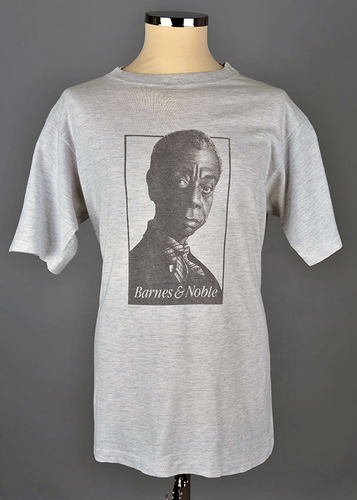 Grey t-shirt with portrait of James Baldwin and name of the publisher Barnes&Noble. 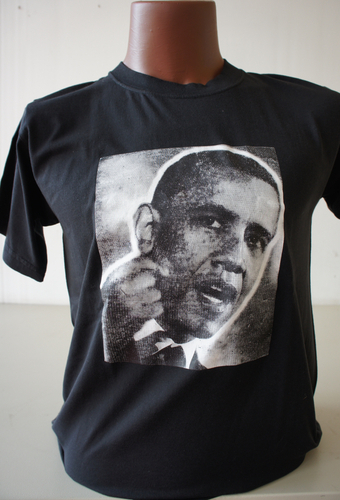 Black and white photo of Barrack Obama. 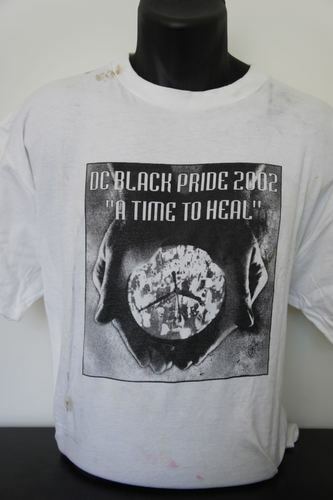 "DC Black Pride 2002. 'A Time to Heal.'" "Sweet Honey In The Rock 9th Anniversary Concerts November 19th & 20th, 1982"
Sweet Honey in the Rock is an all-woman, African-American a cappella ensemble. They are an American Grammy Award–winning (and many times nominated) troupe who express their history as African-American women through song, dance, and sign language. Originally a four-person ensemble, the group have expanded to five-part harmonies, with a sixth member acting as a sign-language interpreter. Although the members have changed over three decades, the group continues to sing and perform worldwide. Light blue long-sleeved shirt with blue sleeves and collar. 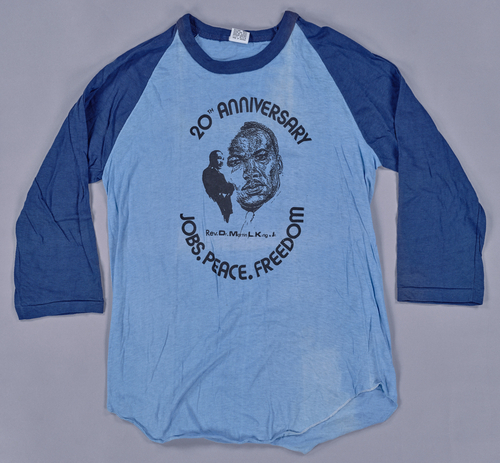 Front: "20th ANNIVERSARY JOB, PEACE, FREEDOM Rev. 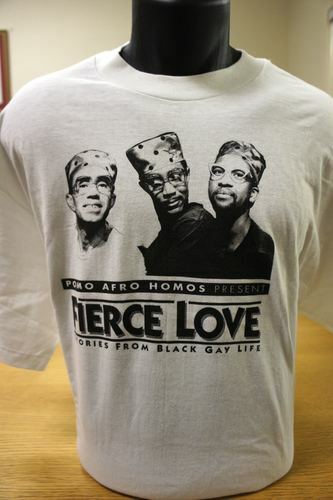 Dr. Martin L. King Jr."
"Pomo Afros Homos Present Fierce Love: Stories from Black Gay Life"
Pomo Afro Homos (1990–1995), short for postmodern African American homosexuals, was an African-American gay theater troupe founded in San Francisco by choreographer-dancer Djola Bernard Branner, actor Brian Freeman, and singer, dancer, and actor Eric Gupton. 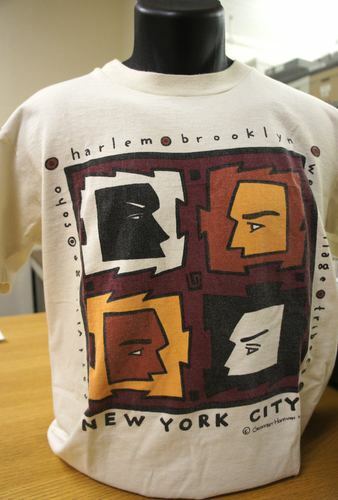 "Harlem. Brooklyn. Soho. New York City.West Village. Tribeca, East Village." 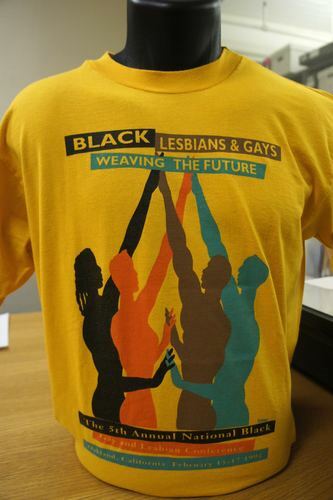 "Black Lesbians & Gays Weaving the Future. The 5th Annual National Black Gay and Lesbian Conference. Oakland, California February 13-17, 1992." 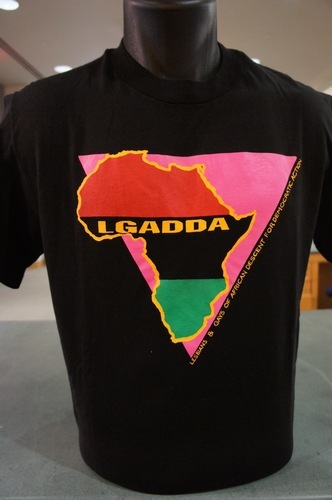 "LGADDA. 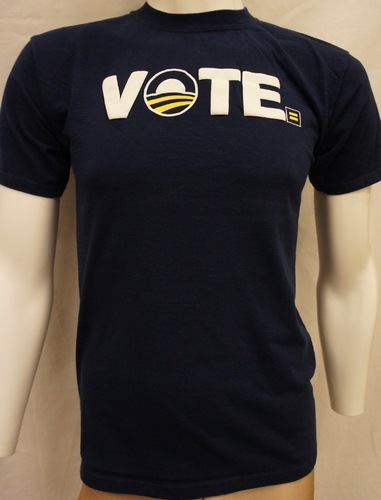 Lesbians & Gays of African Descent for Democratic Action." 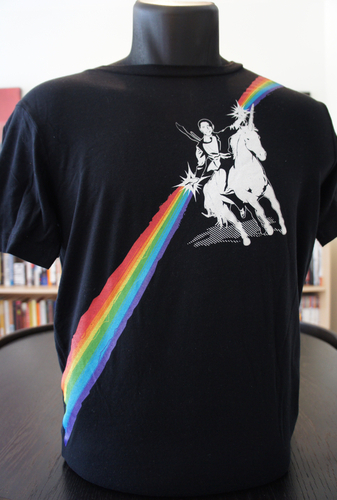 Barack Obama riding a unicorn on a rainbow. 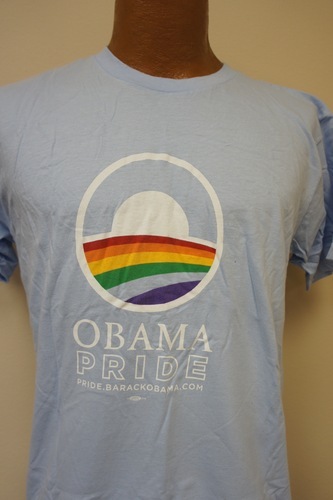 Barack Obama campaign logo with rainbow. "Black Lesbian & Gay Pride Day '03. Family of Pride. Washington, DC, May 28-30"
"Color Me Proud. 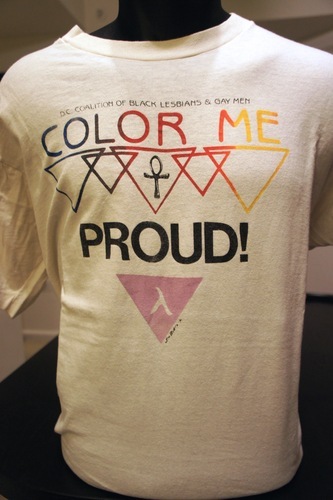 DC Coalition of Black Lesbians & Gay Men"
Image of a pink triangle with lambda symbol and an akhn. Multi colored triangles. 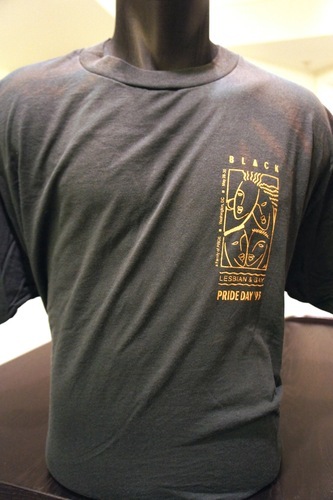 "Black Gay Pride '97"
Unknown origin. Likely affiliated with Washington, DC. Front: Image with text "Living Our Authentic Lives"
Back: "2008 ADODI Retreat. Burr Oak Resort & Conference Center. Glouster Ohio. 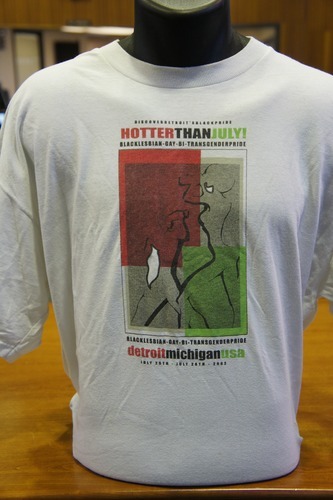 July 23-27" More information regarding this t-shirt is available on the ADODI website. "Adodi National’s goal is to support and coordinate a network of Adodi members worldwide which participate in promoting experiential, intellectual, emotional and spiritual growth opportunities for same-gender loving men of African descent. Chapters in Chicago, Detroit, Philadelphia, New York and Washington, DC"
In the Life Archive at Schomburg Center--Harlem, New York. 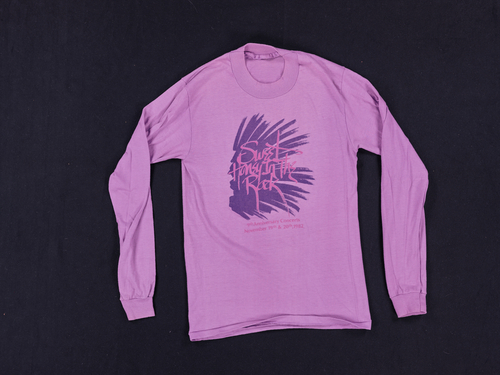 Front: Image of purple woman. "ULGAH" with map of Africa in letter "A." Origin unknown. 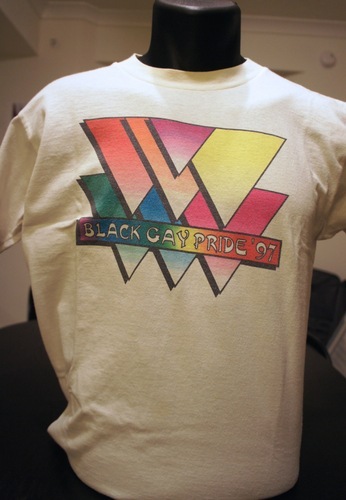 Please contact Wearing Gay History with any information regarding this shirt. Front: Image of African American men. 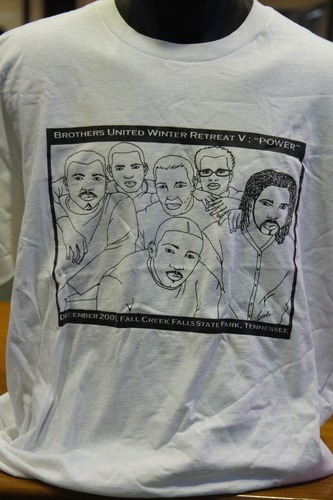 "Brothers United Winter Retreat V: 'Power' December 2001, Fall Creek Falls State Park, Tennessee. Back: List of retreat participants. "Nashville, Chattanooga, Memphis, Knoxville. Brothers United Network of Tennessee." Front: "Discover Detroit's Black Pride. Hotter Than July! Black Lesbian-Gay-Bi-Transgender Pride. Detroit, Michigan USA. July 25th-28th, 2002." Back: "The Inside Out Door"
Back: "BABAA. 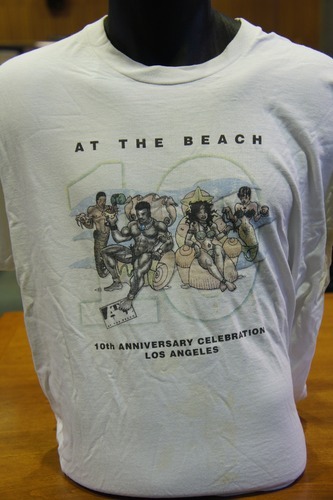 Blacks Assisting Blacks Against AIDS"
Front: Images of African Americans in bathing suits/dressed as mermaids. "At the Beach 10. 10th Anniversary Celebration Los Angeles." Back: "ID Lubricants. Wet International The Westin Los Angeles Airport. Toyota. Minority AIDS Project. Capitol Drugs. American Airlines. L.A. Shanti. The Hollywood Spa. Jewel's Catch One. Tanqueray. Avis. Drama. Front: Image of African mask. "ATB Los Angeles. Black Pride. 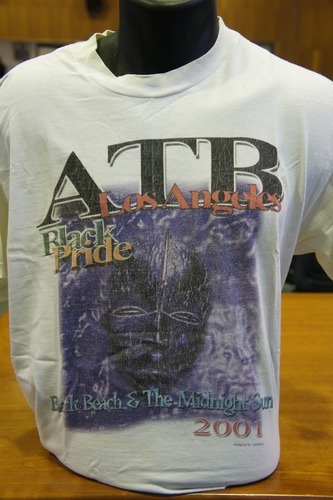 Black Beach & the Midnight Sun 2001"
Back: Shorey Inc. Office of AIDS Programs & Policies. American Airlines. Hilton Hotel. Minority AIDS Project. Unity Fellowship Church. LA City AIDS Coordinator Office. ULOAH. Jewel's Catch one. Media Sponsors: Venus SBC ARISE. Front: "Homework Assignment: Apply this survival formula to your life. 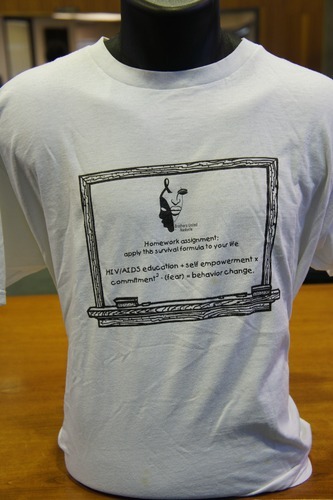 HIV/AIDS Education + self empowerment x commitment^2-(fear)=behavior change." 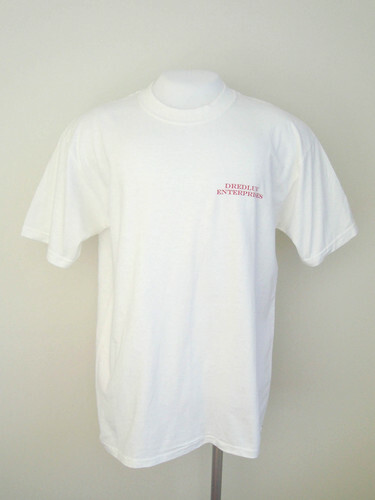 Back: "Brothers United Nashville presents Boyz Crusin' & Tours Mexico 1999 Royal Caribbean Cruise. Supporting the efforts that uplift & maintain healthy, productive, and visionary Men. Nashville Cars! Outloud! SBC for the Africentric Homosexual You." 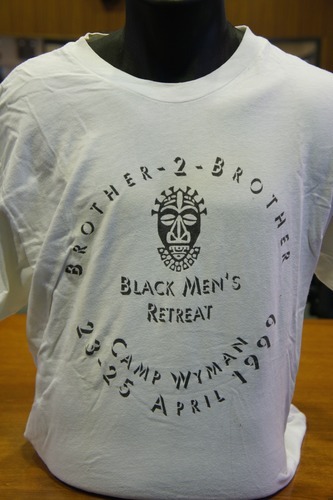 "The Brothers United Network is a collective of African American Gay/SGL Men that seek to provide community empowerment and self actualization through its individual BU Chapters in Nashville, Chattanooga, Memphis, Knoxville, and West TN. " Front: Two African Americans. "Submerge. 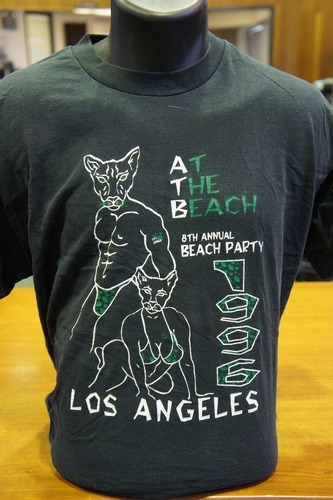 ATB: Los Angeles Black Pride 2002." Front: Images of African Americans in bathing suits. 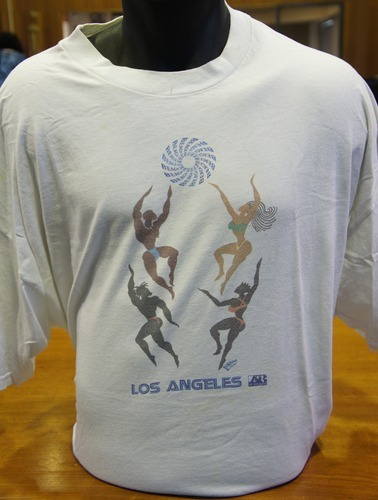 "Los Angeles, At the Beach." Likely in 2000. Back: "Gay Wired .com. Tanqueray. Wet International. United Airlines. 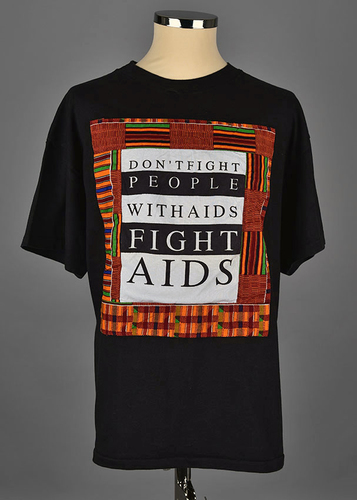 Office of AIDS Programs and Policies Los Angeles County. 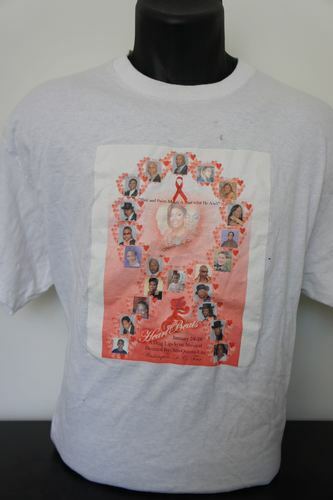 AIDS Coordinator's Office City of Los Angeles, GlaxoWellcome. DuPont. MaP Minority AIDS Project. AIDS Prevention Team. Hilton. 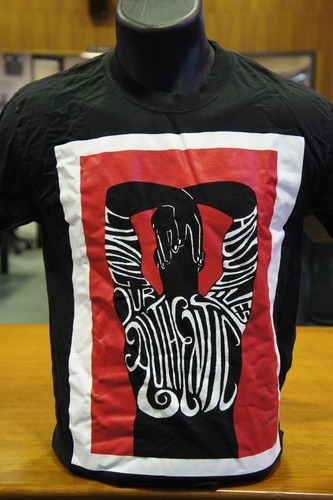 Black Men's XChange Black Women's XChange. The Study. Catch One. Watts Health Foundation. Say Sista STOP. Front: Image of two human/animal hybrids. "ATB: At The Beach. 8th Annual Beach Party. 1996. Los Angeles. City Jungle"
Back: Damaged fabric. "Proud Sponsors: Anheuser-Bush. Brotherhood Crisis. Hollywood Spa. International Male. Jewel's Catch One. 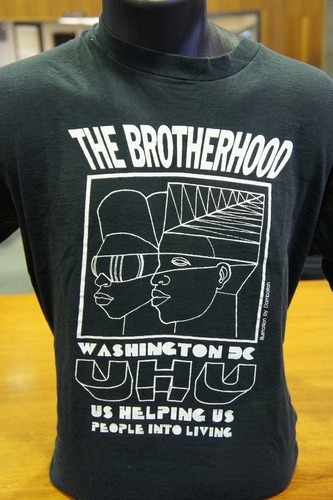 Watts Health Foundation, Inc.
Front: "The Brotherhood. Washington, DC. UHU. Us Heling Us People into Living." 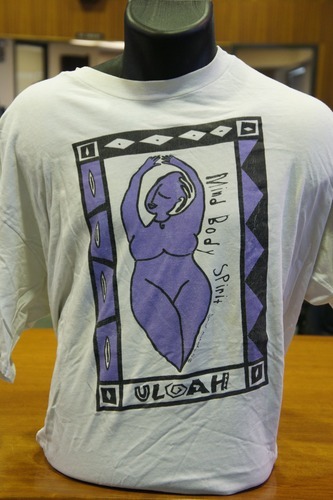 Back: "Healing is a Natural Thing"
Us Helping Us, People Into Living, Inc., (UHU) was founded in 1985 by Rainey Cheeks. 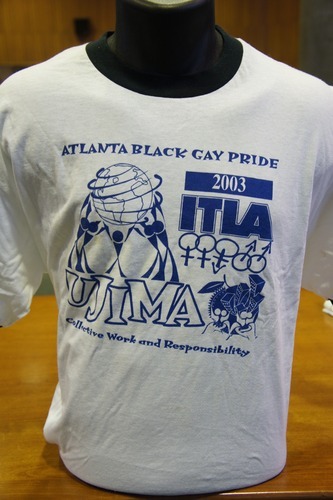 UHU is "committed to improving the health and well-being of Black gay men through innovative programs and services"
Front: "Atlanta Black Gay Pride 2003 ITLA UJIMA Collective Work and Responsibility"
Location set at Sheraton Colony Square, hotel host of 2003 Pride. 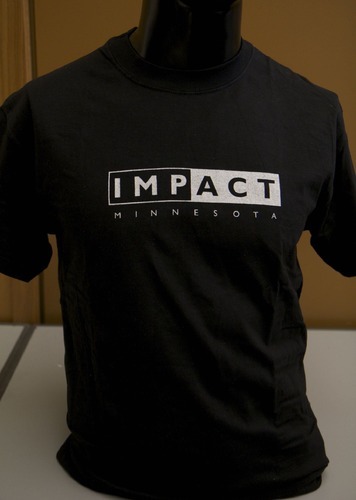 IMPACT Minnesota, a new independent-expenditure political action committee, has formed to focus on getting out the vote in the African-American community and in letting candidates know the impact black voters can have on the outcome of elections.